180 mile round trip. 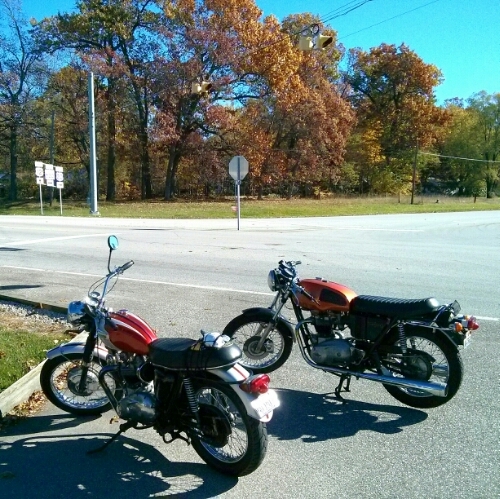 A jaunt out to Michigan along Route 20. Oaks in rusty covering and golden elm with a sprinkling of red maples gave a seasonal backdrop to the venture. Here the South Shore train rolled along the track parallel track dropping off and picking up various weekenders seen in these parts. 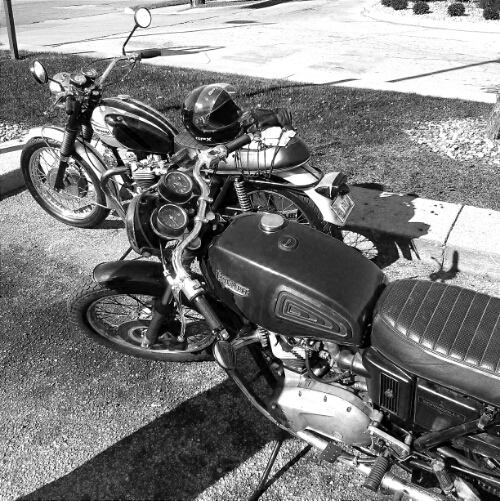 The bikes rode well. The air was fresh, the sun gave off a slight warmth and the roads not too busy. 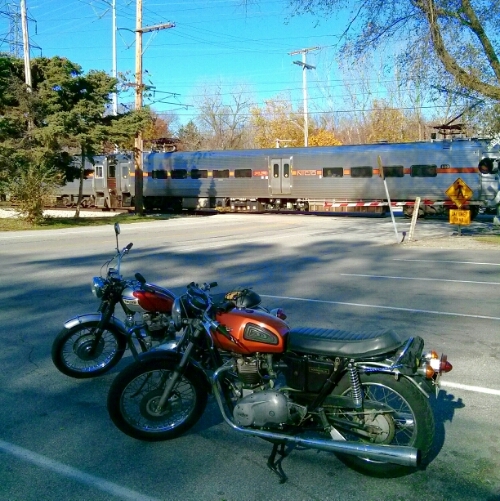 Good ‘back end of the year’ ride.